Web design is the new in-thing that is being experienced across various fields. The new age technology calls for the advancements related to the software and IT industry. Specially the responsive web design is the most appropriate one that is preferred by most of the corporations. Although most of the corporations are not taking advantage of this technology as for now. The applicability of responsive designs is pretty limited. The brands who have not adopted this engineering face the threat of going out of the business soon. It is generally the case when the company has no threats and do not think it is appropriate to spend on this application. However, with the recent advancements in the technology, the sooner the firms adopt new ways to reach out the consumers, the better it is for their long-term establishment. The online marketing techniques like responsive designs have a very vast scope of taking your business to new heights. To remain in the business, it is important to do whatever other firms are doing. Adapting to the change is law of nature and that is significant for every firm. Figure the latest technological applications that can assist your business before your competitors do. Responsive web design is the amalgamation of online marketing and web design development into one. This kind of website design is the type that is fit for all kinds of devices. Generally, the industry trend is to create individual websites for every device or some of them in general. This is not so effective way to reach out to potential customers. If a person wants to open your website in a tablet and you have only created the website for desktops, there can be quite many difficulties for the users to view the website. Ultimately, in the end the users will decide not to view your website or not to take up your products or services. This can result into a huge business loss for you. So, to avoid that let one website be created that is in itself responsive to every device, it is being used that will create a high quality brand image for you. There is a buzz surrounding Apple in recent times, the trends related to iphone app development will also hype with time. Mostly, the corporations are beginning to shift their focus towards the Apple applications industry. The Apple App Store now calls for a lot of business applications that are truly popular with the users. The most dominating ones are the business apps in the iphone world. The experts in this technology cite that the business boon is mostly due to Apple applications. It helps to reach the customers from both the branding and marketing perspectives to sell their products and services. If the smart phone world is considered, the iphones have truly dominated the market with not only most advanced features but also more than 65,000 applications in its store. The business organizations truly want to extend their reach towards the potential customers and for that they have been taking into consideration many online advertising techniques out of which app design is the best one. Also, one can think about web app development that are mainly used through the web browsers. However, these need a desktop with a working Internet connection to work. People find the usage of such applications easier on phones rather than on desktops. As phones can be carried anywhere and can be accessed at any times that is not the case with desktops though. Although the desktops web apps ensure that your information is secure on a particular server, but you only have a limited time to use it. However, both the advanced technologies ensure that the business corporations of their clients rise and earn more profits. It provides them with the access to millions of web users that can eventually become their potential clients in future. The web app and iphone app development technologies are also the most cost effective ways that you can find according to your budgets too that can save your money as well as efforts. Also, these can be easily customized and optimized any time the customers want according to their needs. 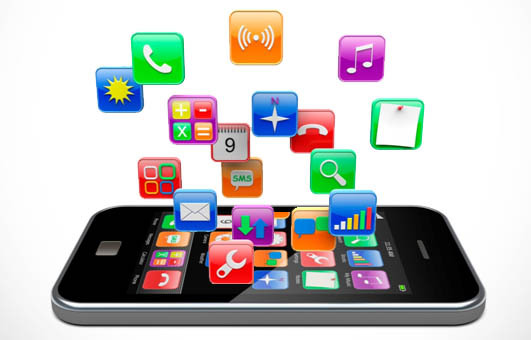 The new way to attract your customers is the adequate app development.